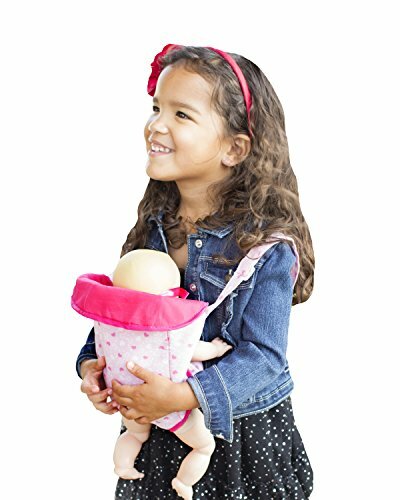 This baby doll carrier is perfect for your toddler! This way your little one can keep their "baby" close to their heart just like Momma/Daddy does. Excellent gift for future baby wearing momma's (and Daddy's ;-) ) . This is also a great gift for new big sisters or brothers! 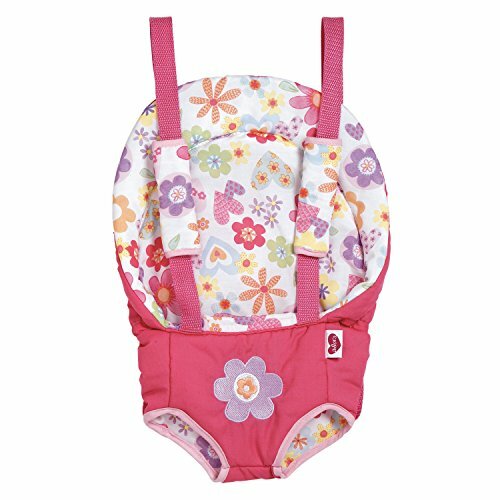 This adorable baby doll carrier is perfect for your toddler! This way your little one can keep their "baby" close to their heart just like Momma/Daddy does. Excellent gift for future baby wearing momma's (and Daddy's ;-) ) . This is also a great gift for new big sisters or brothers! This carrier is a TOY ONLY! DO NOT put a real baby in this carrier! This design is reversible and features tie waist and straps. Waist straps tie around waist. Shoulder straps cross on back and tie around waist to finish. Can also be used for a back carry. Approximate measurements: Body: 22cm/8.6inches wide x 24cm/9.5inches tall Straps: 87cm/34.2inches Waist Strap: 47cm x 2 /18.5inches x 2 Fabric: Cotton.Inner layer:Cotton Terry. 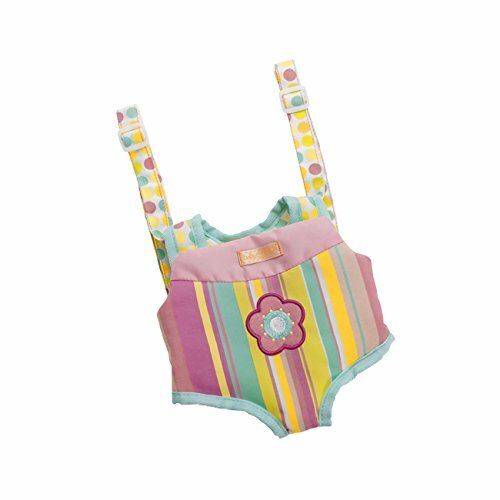 Fits toddler and small child with adjustable tie waist. Machine wash gentle cycle, cold water. Machine dry low. Warm iron if desired. Ergobaby has brought to life Keith Haring's lively and colorful art with our new Black doll carrier. A perfect gift for a new big sister or big brother. Ergobaby has embraced the iconic design of world renowned artist Keith Haring to create a distinctive collection of baby carriers and toy doll carriers. Our Keith Haring collection pays homage to a shared belief in celebrating the spontaneous moments of joy that life brings. Take Baby Stella on the Go! Baby Stella Up Front Carrier Accessory keeps Baby Stella near mommy or daddy in a hands-free baby doll carrier. Carrier features Velcro-like closures for easy attachment. Baby Stella by Manhattan Toy is an ideal first baby doll collection that will encourage little ones to role play, nurture, and care. Baby Stella dolls, sold separately, are completely soft and beautifully crafted with life like details such as a belly button and perfectly plump tummy. You can change her outfits and every doll comes with a magnetic pacifier. The Baby Stella Collection offers a variety of soft and safe accessories that allow little ones a caregiving experience. Since 1979, Manhattan Toy has been making award-winning, high quality, educational toys for your baby, toddler or kid. From incredibly soft plush toys to baby dolls and doll accessories, our goal is to provide the safest and best toys available. All of our products, from the newest concepts to our time-tested classics, are innovatively designed to inspire imaginative play and are routinely safety tested to pass strict CPSC, ASTM, EN71 and Health Canada safety standards. GAGAKU Dolls Carrier: COOL & FULL OF LOVE Material: Shell: 100% cotton; Lining: 100% cotton; Webbing: 100% cotton; Ages: It is developmentally suitable for toddler or baby who ages over 18 Months; Size: 0.18 kg; 14 × 25 × 32.5 cm / 5.51 × 9.84 × 12.8 inches (L × W × H); The dimension of dolls should be smaller than 63.0 cm / 24.8 inches; Note: Please read the instructions carefully before use; Always supervise children when wearing the doll carrier to avoid pinching injury; Doll Carrier is intended to be used as a Toy Only; The doll carrier should NEVER be used to carry children or live animals; Maintain: Machine wash gentle cycle, cold water. Machine dry low. Warm iron if desired. Adora Dual Purpose Baby Carrier Snuggle fits Dolls up to 20"
This bright and fun floral baby carrier is perfect for mini mommies on the go! This is dual purpose carrier allows little ones to tote their dolls in the front or back! It features two adjustable vertical straps and adrawstring in the back to accommodate various sizes of dolls. 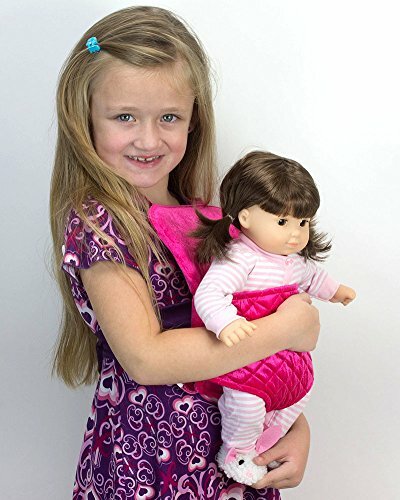 Adora's Baby Carrier Snuggle easily fits most 13" - 20" Dolls! Warranty OTHER - Additional comments: 30 Day warranty against manufacturer defects. Warranty voids if purchased from any other seller that is not Amazon Retail or Paradise Galleries. 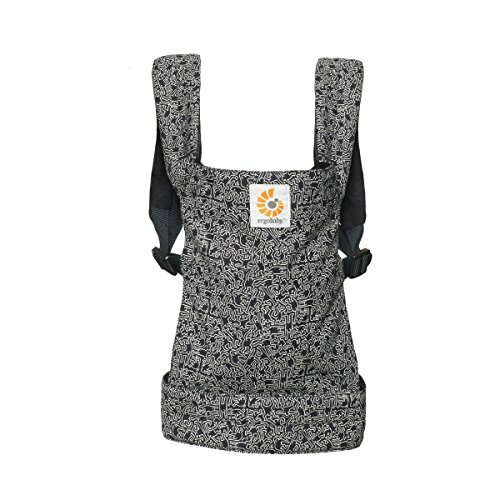 FULLY ADJUSTABLE CARRIER includes a soft cloth for baby to sit comfortably in. Carrier is made out of quality plastic for hours of fun. 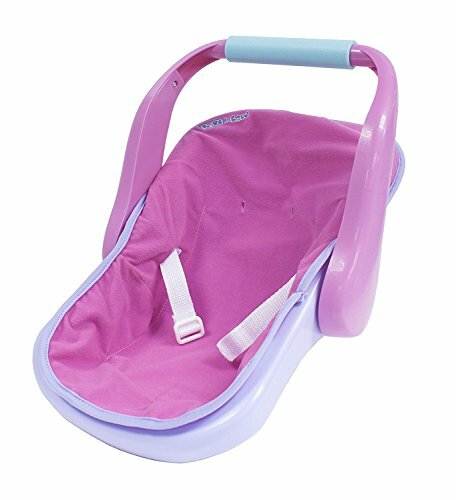 Just adjust the handle to convert from a BABY CARRIER to a FEEDING SEAT or CAR SEAT. Carrier has curved edges so you can ROCK your baby doll to sleep. Hours of Fun when you take our Lots to Love Baby Rocker anywhere! JC Toys Dolls and Accessories are manufactured directly by our company, JC Toys, a world leader in doll manufacturing. JC Toys is a family run and operated business with origins dating back to 1982 in south-east Spain - one of the top major toy-making and design centers in the world. 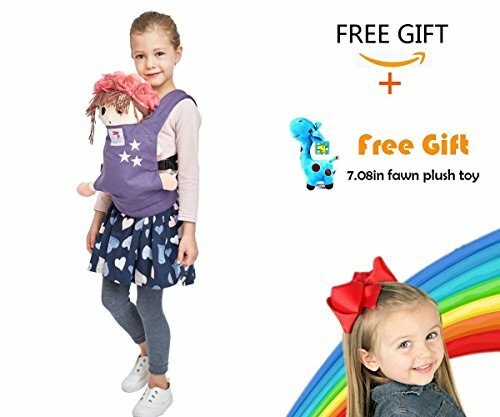 Today, you can find 100s dolls, playtime accessories, and more by JC Toys on www.amazon.com/jctoys Add smiles to a young child’s face today by adding this Adjustable Car Seat to your cart now, so it can be ready for checkout and shipment ASAP - thank you! 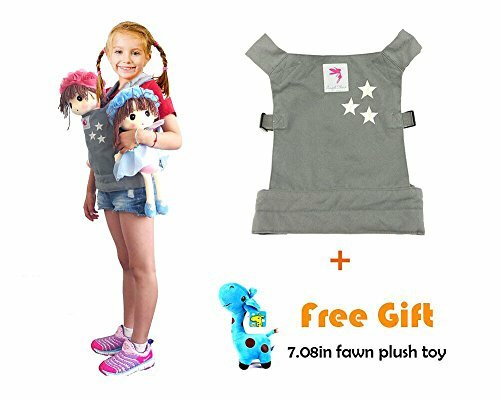 Bring your doll or plush friend everywhere you go! Perfect soft velour carrier allows you to cuddle up to your friend all day long. © 2014 Sophia's- All Rights Reserved. Not affiliated with American Girl®, Reg. Trademark of American Girl, LLC. 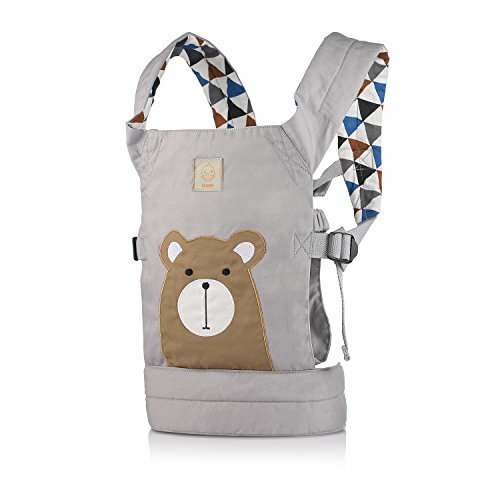 Compare prices on Baby Doll Carriers at ShoppinGent.com – use promo codes and coupons for best offers and deals. Start smart buying with ShoppinGent.com right now and choose your golden price on every purchase.